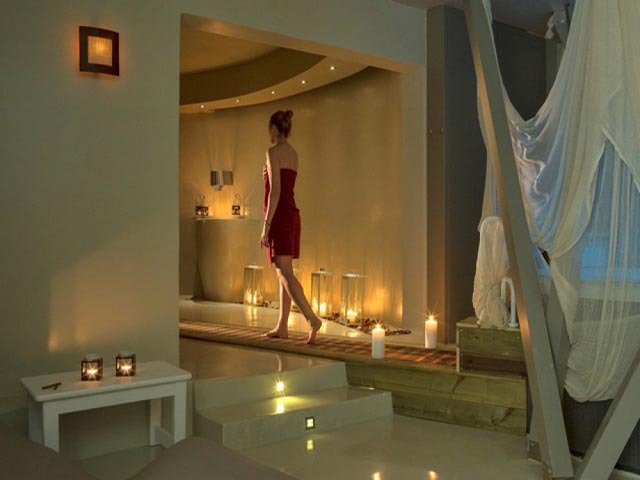 Welcome to KB Suites and Spa in Skiathos, the perfect sanctuary for hosting your getaways and making your every dream come true. 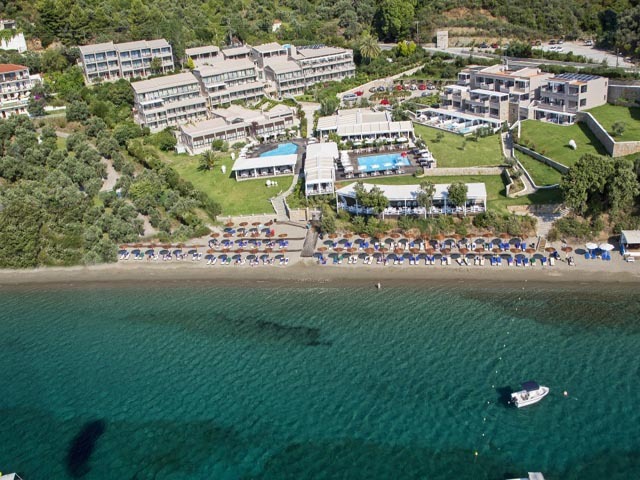 KB Suites and Spa form part of Kassandra Bay Resort complex and are located wonderfully within lush gardens overlooking the Aegean Sea and the beautiful Vasilias Bay. 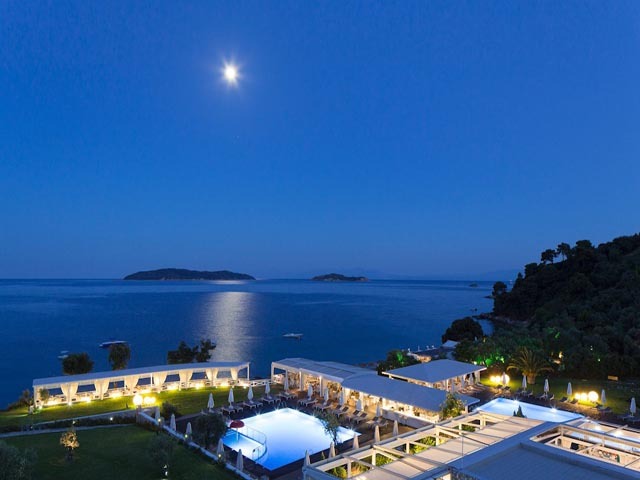 The luxury Suites are only 3km away from the town of Skiathos, 4km away from the airport and take pride for their supreme beachfront location and unique quality services. 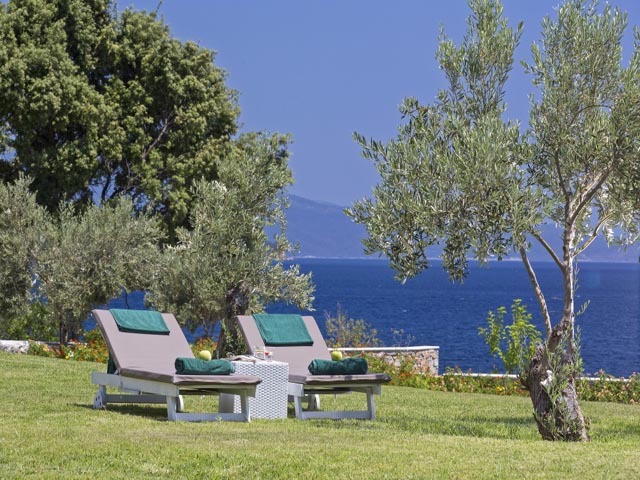 The 28 suites feature elegantly decorated rooms that look toward a scenic green garden and the shimmering sea. The sophisticated guestrooms suites feature indulgent details such as colour-therapy and aromatherapy Jacuzzi bathtubs and docking stations for your mobile device. Enjoy additional comforts that range from pillow menus, and guestroom aromas up to private dinner service. 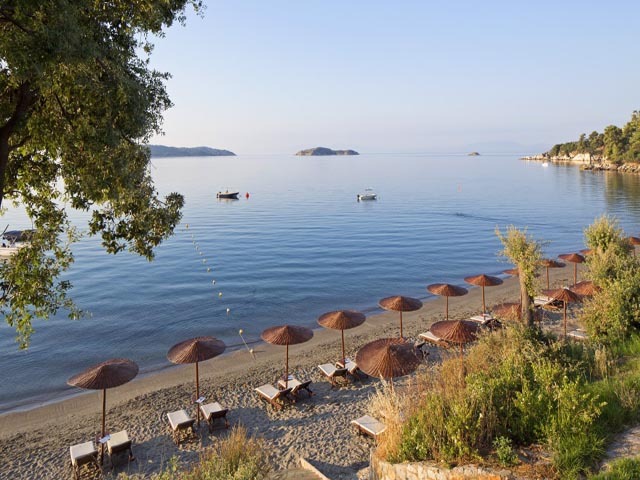 Take a dip in the pool, shelter under the shade of your private gazebo, immerse in a private oasis of calm in KB Spa or let us spoil you with our bespoke services and enjoy private boat trips on the Aegean Sea. 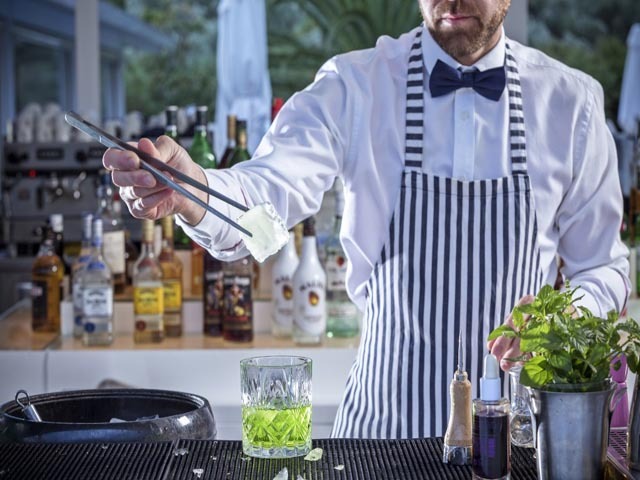 Come evening head to KB bar, and feast your eyes on bartenders who stir up mint- and mango infused mojitos. Treat yourself with a romantic dinner in our a la carte restaurant and experience delicious menus with Mediterranean flavors in an intimate atmosphere. 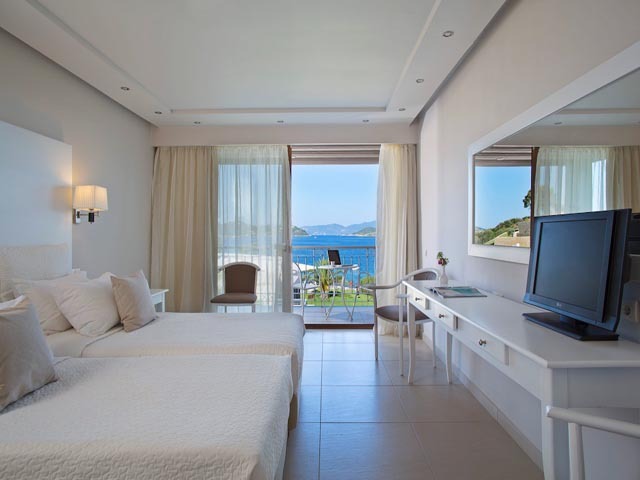 Visit KB Suites in Skiathos and allow us to spoil you throughout your stay at our unique Resort Complex. Discover the hidden gems that are scattered all over the island, following the suggestions of our team. Nest at our exclusive suites for the top experience and the ultimate shelter of grace, modernity, total rejuvenation and sumptuousness. 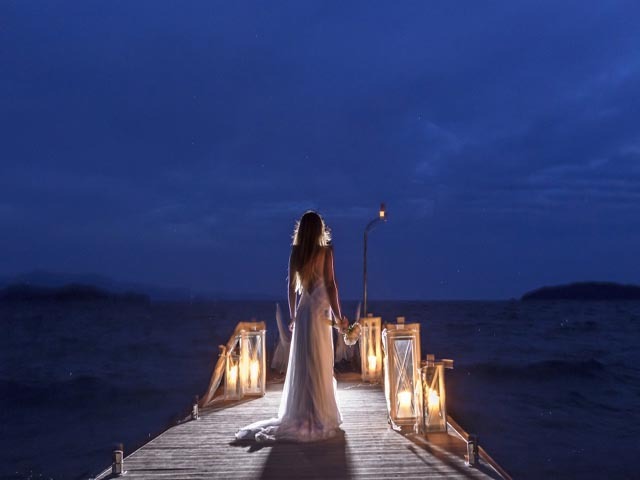 Our tailor made romantic celebrations and inspired wedding suggestions will utterly complete the KB experience. 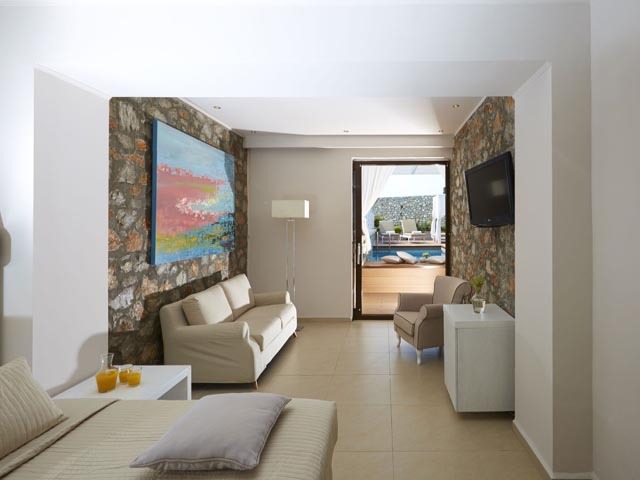 Sophisticated and intimate, KB suites is a sanctuary of refined comfort and luxe. 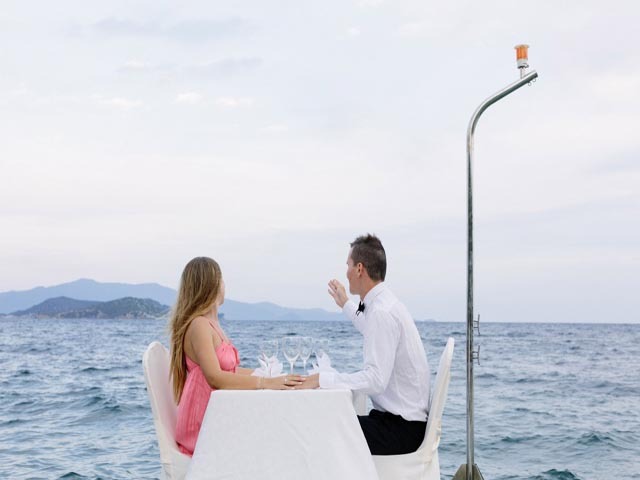 Mesoyios a la carte restaurant serving creative International flavors embedded with Greek cuisine ingredients. KB Suites and Spa restaurants offer a complete culinary experience to every guest. Our A la carte, our buffet restaurant and all day snack bar provide a journey of supreme flavours. Breakfast is served in Amvrosia restaurant in buffets of vibrant colours and mesmerizing aromas at the most wonderful and uplifting atmosphere. 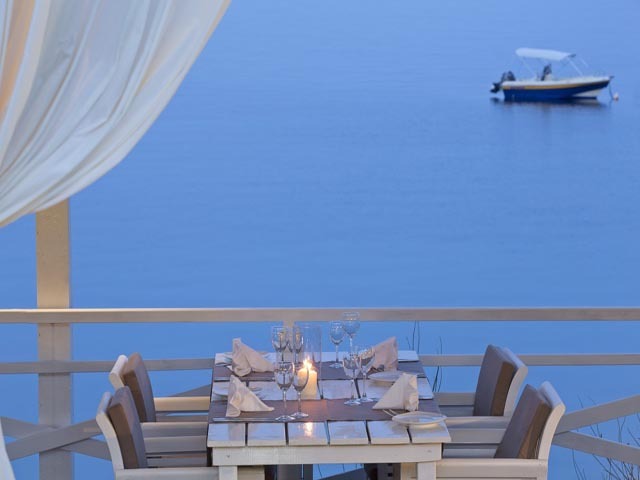 The view to the Aegean Sea is magnetizing, providing the perfect dining setting with the sun rays mirrored on the water. Our Executive Chef and his dedicated team introduce you to the wonders of Greek and Mediterranean cuisine in Mesoyios a la carte restaurant. 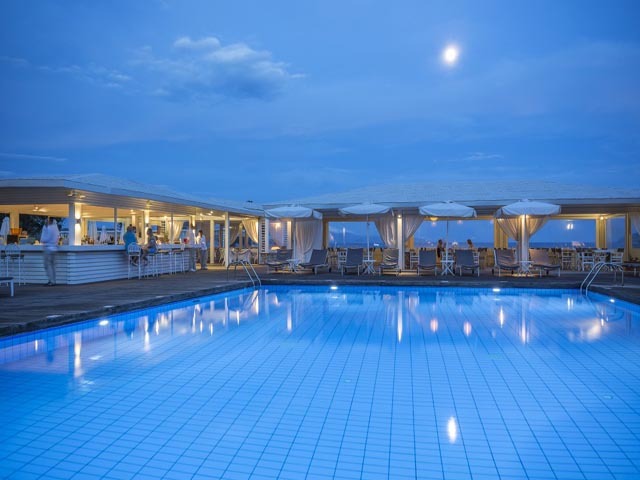 Blended with local specialties in the most sophisticated cuisine style, the dishes provide an incomparable dining experience and are excellently combined with hand selected wines of the finest quality, emphasizing the distinctive character of Greece. Special care is given to guests seeking for gluten free foods. Private dining is the ultimate romantic experience at KB Suites and Spa. 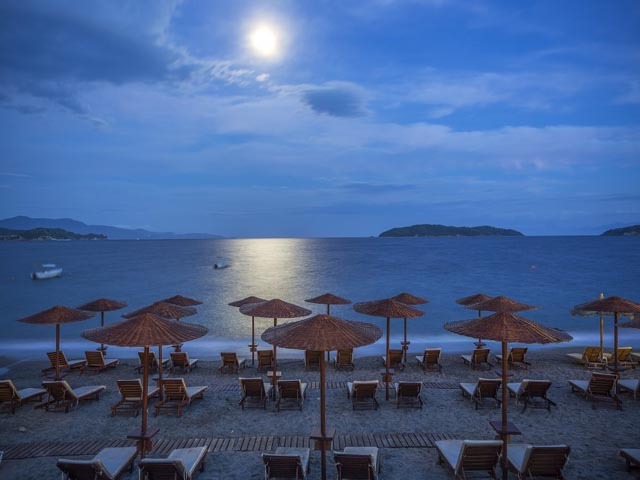 Savor delectable dishes prepared by our Executive Chef and his talented team under the star-lit sky, with candles on your table and with the fascinating sounds of the sea, feeling the breeze fondling your hair and cheeks. 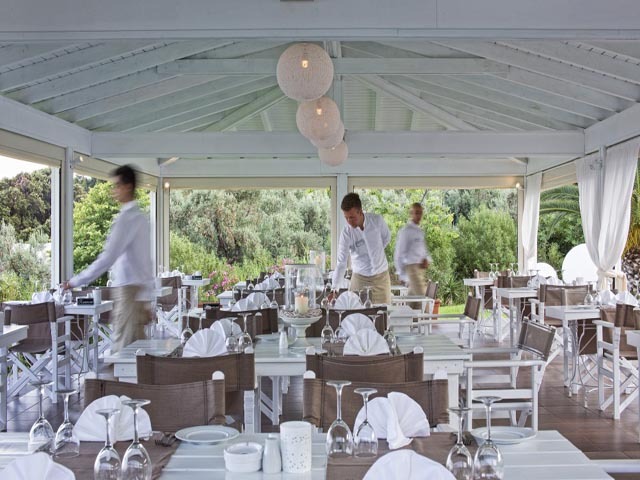 Excite your senses and feel the utter tranquillity at the most enchanting surroundings, with our exceptional range of diverse Greek wines and our superb, appetizing delicacies. 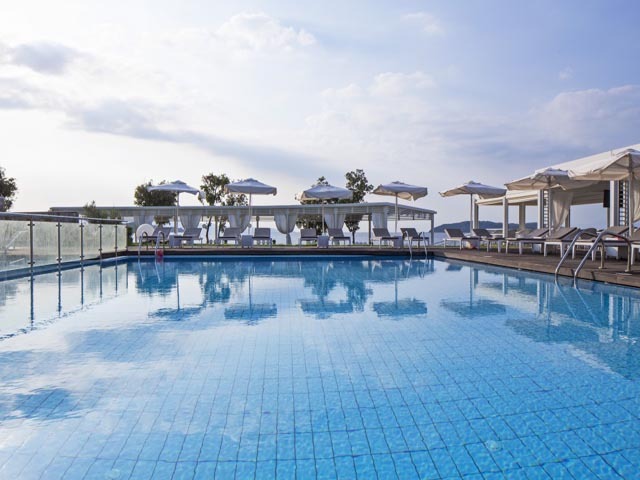 Experience the romantic atmosphere and the excellence of the services provided, surrounded by lush greenery and overlooking the inspiring Aegean Sea. 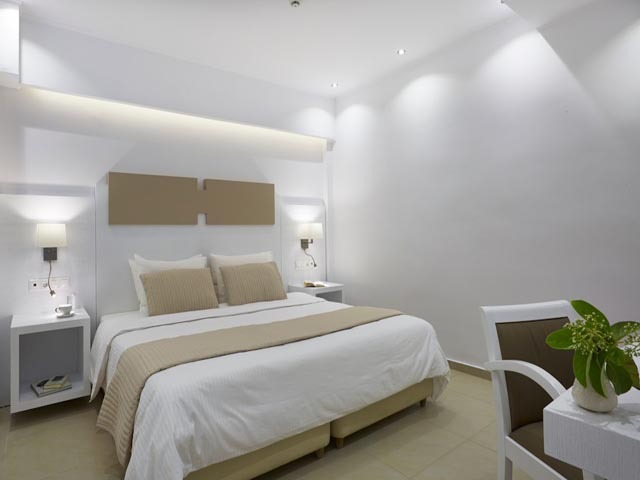 Minimalistic design, modern decoration with white, earth tones, and natural light.Private balcony with panoramic sea view, second or third floor, double bed with top mattress. Spacious, open plan, with a double bed and living area. White, earth tones, minimalist decor and natural light compose the puzzle of simple luxury. The room is on floor and has a private balcony with sea view. Minimalistic design, modern decoration with white, earth tones, and natural light.Private balcony with panoramic sea view, first floor, double bed with top mattress, living area. Sleeping area with double bed and balcony with pool and sea view. Minimalistic design, modern decoration with white, earth tones, and natural light. From whirlpool to chromo therapy, enjoy a wide range of functions of your outdoor Jacuzzi. Minimalistic design, modern decoration with white, earth tones and natural light. Private balcony with outdoor jacuzzi & panoramic sea view, second floor, double bed with top mattress. Minimalistic design, modern decoration with white, earth tones, and natural light. Located on the ground floor fearuring terrace with private pool, garden & sea view. 1 bedroom, double bed with top mattress and living area. Minimalistic design, modern decoration with white, earth tones and natural light. 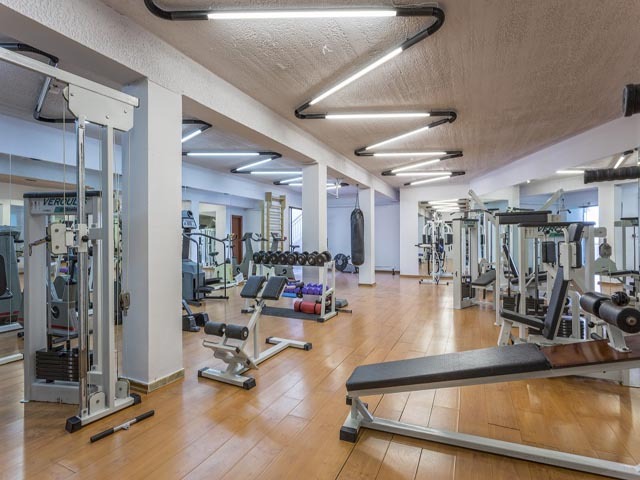 Veranda with private pool, private garden & sea view, ground floor,1 bedroom double bed with top mattress, separate living area with a sofa bed (which converts into a double bed), bathroom. Minimalistic design, modern decoration with white, earth tones, and natural light. The suite features one bedroom with double bed, separate living area with two sofa beds, dressing room, en-suite Jacuzzi and two bathrooms. Located on the 1st floor offers balcony with wooden lounge, dining table, private pool, garden & sea view. 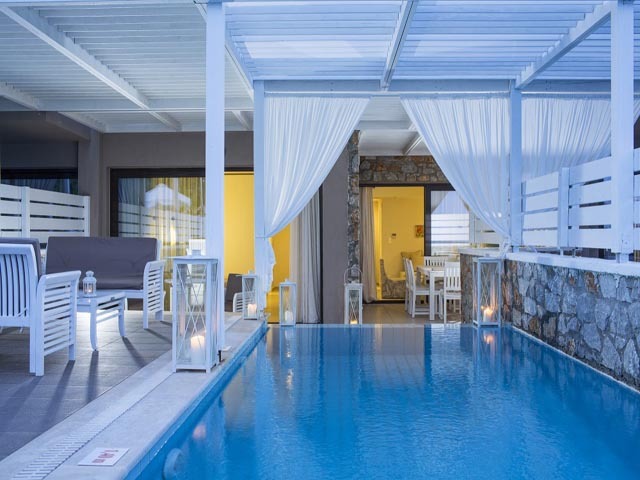 KB Suites and Spa form part of Kassandra Bay Resort complex and are located wonderfully within lush gardens overlooking the Aegean Sea and the beautiful Vasilias Bay. 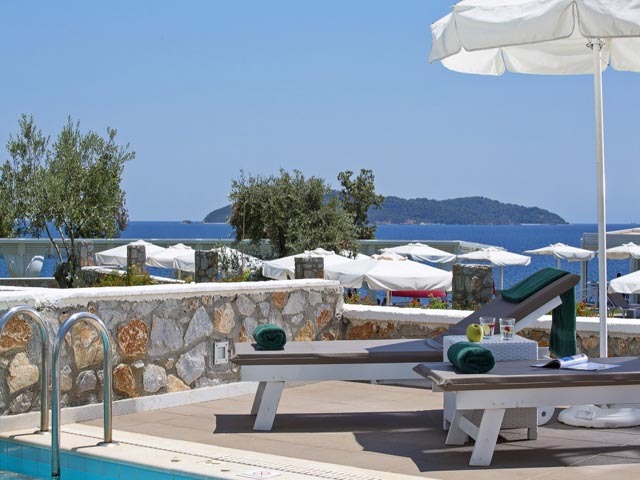 The Suites are only 3km away from the town of Skiathos and 4km away from the airport. Open : May - September .... 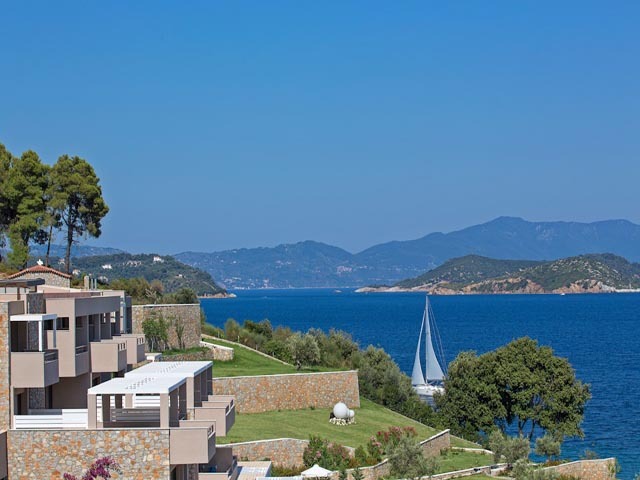 Welcome to KB Suites and Spa in Skiathos, the perfect sanctuary for hosting your getaways and making your every dream come true. 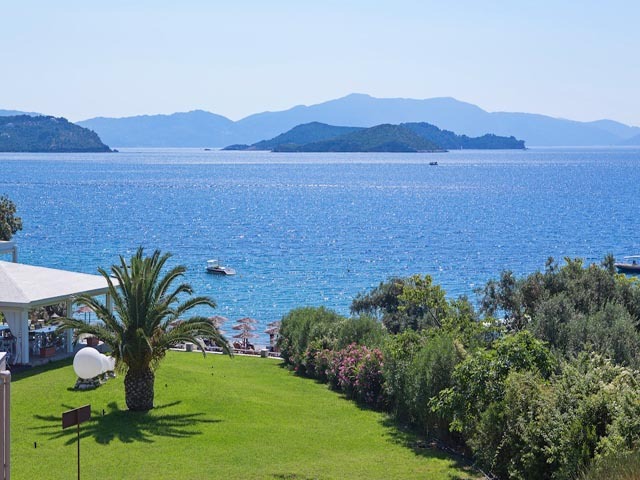 KB Suites & Spa form part of Kassandra Bay Resort complex and are located wonderfully within lush gardens overlooking the Aegean Sea and the beautiful Vasilias Bay. 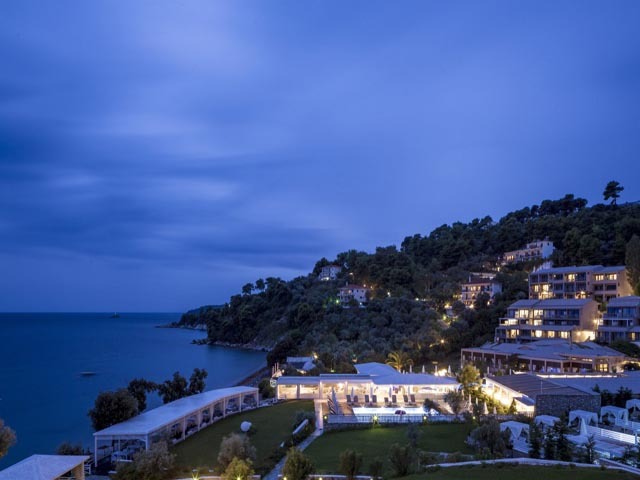 The luxury Suites are only 3km away from the town of Skiathos, 4km away from the airport and take pride for their supreme beachfront location and unique quality services.